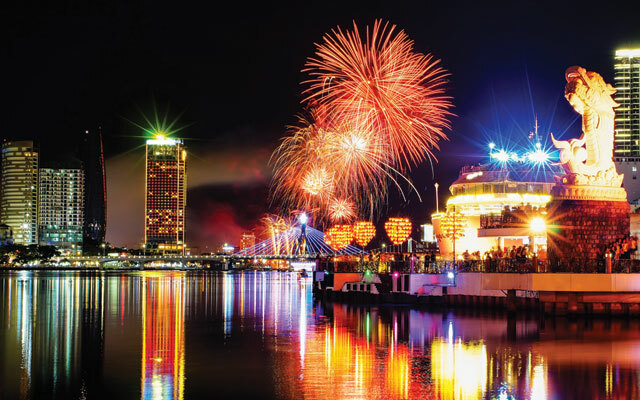 Danang has seen a rapid growth in its business events sector in recent times, and there is no sign of abating. According to the latest figures from Danang Department of Culture, Sports and Tourism, the city welcomed more than 7.6 million visitors in 2018, a 15.5 per cent year-on-year increase. Of these, 2.8 million were international arrivals, a rise of 23.3 per cent year-on-year. Also indicative of Danang’s development is the rapid rise in hotel developments. Figures show the number of five-star keys increased 78.3 per cent, with 6,832 rooms available as of June 2018, compared with just 3,832 in June 2017. This is predicted to increase by another 25 per cent to 8,574 in 2019. Meanwhile, South Korea visitors dominate the market, with almost half of international arrivals from the country, fuelled by the more than 100 weekly flights available. In April 2017, a new international terminal at Danang International Airport opened, increasing capacity from 13 million to 28 million. Better flight connectivity is another force driving Danang’s rise. New routes, such as Qatar Airways’ four-times-weekly connections with Doha – launched last December – is predicted to lure more longhaul business travellers. Meanwhile, the Sheraton Grand Resort Danang, which opened in January 2017, has become the city’s largest luxury hotel conference venue with 3,300m2 of meetings space. The addition of luxurious venues such as these, have helped plant Danang firmly on the business events map. Other projects in the pipeline include JW Marriott Danang and Courtyard Danang Han River. “(Danang is) not just a city with large convention spaces, it has welcomed new levels of luxury in its meetings venues that provide meeting planners with options for for large-scale, high-level meetings,” Redl added. Since its opening in October 2017, Ariyana Convention Centre (ACC) has also attracted a swathe of international events. These range from APEC 2017 through to the 6th Global Environment Facility 2018, with 1,500 delegates from 183 countries. The ACC forms part of Ariyana Danang Tourism Complex, which takes in the luxurious 1,400-key Ariyana Beach Resort & Suites Danang (slated to open late-2019), and the existing 254-key Furama Resort and Furama Villas. It is also connected to Furama Danang International Convention Palace – Vietnam’s largest conference and exhibition complex – which boasts a Grand Ballroom that seats 2,500. In April 2018, Nicklaus Course opened at BRG Danang Golf Resort as Asia’s first bulkhead course, adding to the destination’s appeal. Two other key projects are Empire Group’s Tourism Entertainment Complex CocoBay Danang, a US$1.1-billion investment, and Soleil Danang’s five-star hotel and luxury apartment complex at My Khe Beach. This will stand as Danang’s tallest building, with a 58-storey five-star hotel and three 47-storey apartments, and will launch 1,000 luxury flats in 2020. Rolling out a range of cultural events, festivals and attractions have also helped entice visitors, said Sheraton Grand Resort Danang general manager’s Frank Bochmann. Since its inauguration in June 2018, the Golden Bridge at Ba Na Hills has attracted global attention, with the annual Danang International Fireworks Festival, Danang International Marathon and Ironman 70.3 Vietnam also gaining momentum.